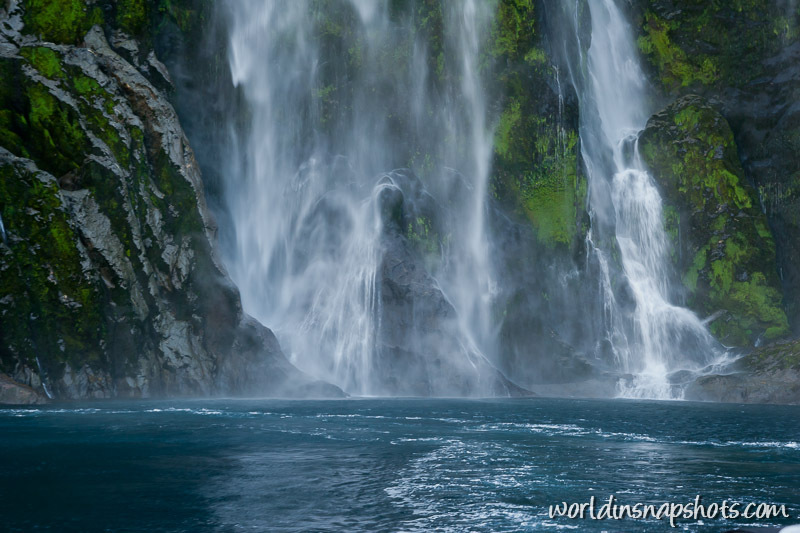 Dropping 146 meters (505 feet) Stirling falls is one of the permanent waterfalls in the Fiordland, New Zealand, which is at its most spectacular after very heavy rain. The falls were named after a seaman by the name of Captain Stirling who visited the area. Love the contrast of the lime green and the water. Beautiful shot. Nice shot and a very nice spot. Such a beautiful shot! I’ve not yet been to New Zealand but photos like this certainly make me want to. I love waterfalls and this picture is gorgeous! All the colors a wonderful. beautiful! the rushing water is something that I always try to capture on waterfall shots! Absolutely stunning! Welcome to Travel Photo Thursday. Beautiful! Can you swim in the lake? It is fiord not a lake, but you can swim there. Becca@R We There Yet Mom? I love photos of waterfalls- this one is fantastic. I’d love for you to consider linking it up to our Friday Daydreamin’ meme – we feature travel photos. Thanks! The water looks refreshing and inviting. Love the colors too. (c) 2009-2013 World in snapshots. All Rights Reserved.